We LOVE arranging receptions and special events for you! Season tickets will be available soon! Cost is only $5 per week per person. This is a ongoing year round class except Thanksgiving, that is every Thursday evening from 7-9pm in the Winona Grange, 8340 SW Seneca St, Tualatin 97062. Call first if concerned about foul weather. Bring your friends and learn how to dance a jig! Weekly drop-in class where beginners are always welcomed! Come be a part of the Irish Culture that is growing in Tualatin! I am a certified teacher and we have a great class for you! Get in shape, stay in shape, meet new friends, learn a new style of dancing and save money by not driving into Portland! No partner required but this is a social/folk dance called ceili (kay-lee) that is danced with anywhere from two to as many dancers that are available! What should you expect? Excercise, sweat, fun, maybe sore in the legs the next day, meet new folks and learn. What we expect: for you to plan on attending at least 4 classes on a regular basis so that you give your body and mind a chance to learn! YouTube starting around the 8th minute to show you what we do! We also have live music and dance the first Friday of each month from October till May each year! The first Friday repeats every month through May 2017 at $12 each. Different musicians throughout the year. 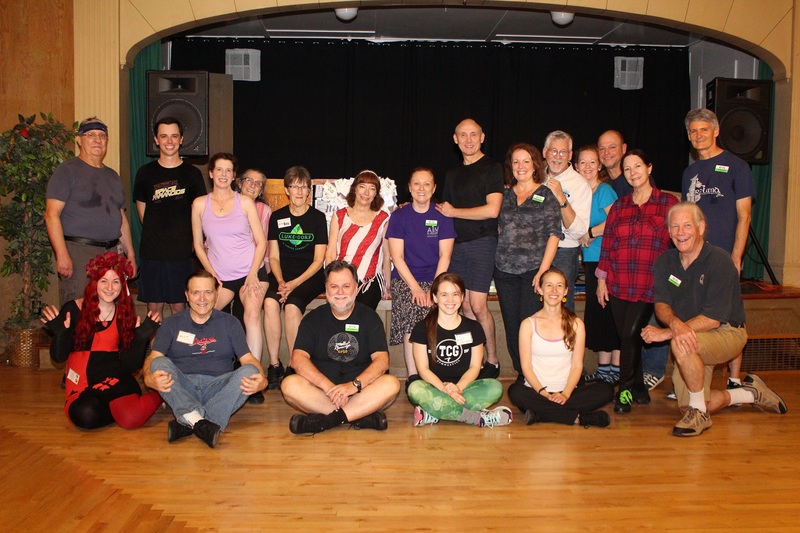 Get fit and have fun while learning a jig! Reduce stress, now.